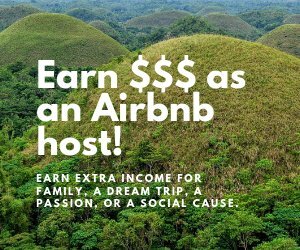 Want to learn about Bohol’s culture and history? Here are some attractions where you can learn about Bohol’s ways and its past. Bohol has a lot of tourist attractions. By visiting some of them you can learn about Bohol’s culture and history. The following list will tell you where to see these amazing historical sites and how to get there. 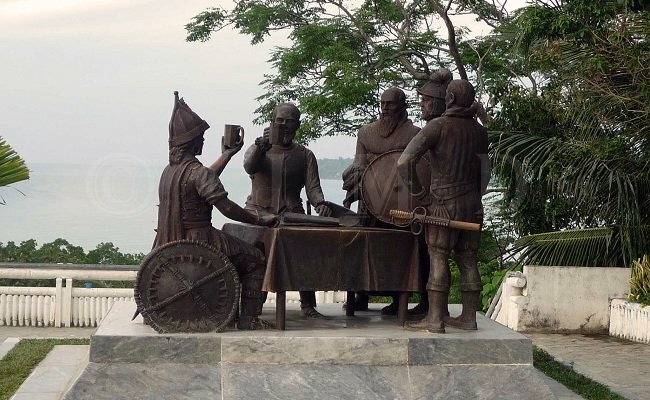 A historical marker which marks the location of where Datu Sikatuna, a native chieftain, forged a blood compact with Don Miguel Lopez de Legazpi representing the King of Spain, for the purpose of fostering friendly relations between the two nations. The Blood Compact on March 16, 1565 is considered the first "Treaty of Friendship" between Europe and Asia. 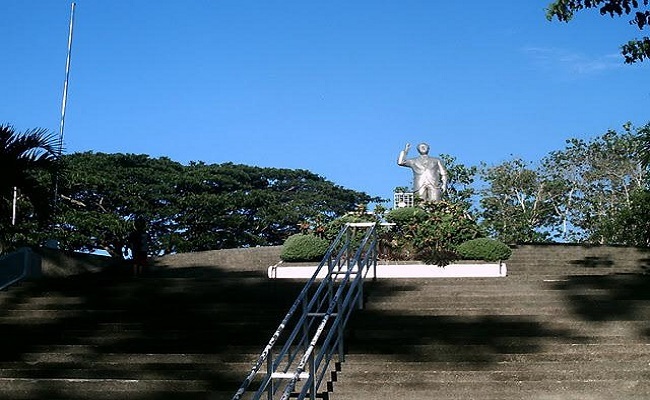 A joint undertaking of Boholanos from all over the country and abroad have erected a park in loving memory of the greatest Boholano -- Carlos Polestico Garcia, the fourth President of the Republic of the Philippines. It sits on a rolling site with an area of 11 hectares chosen by Pres. Carlos P. Garcia himself in 1939 when he was still the governor of Bohol. 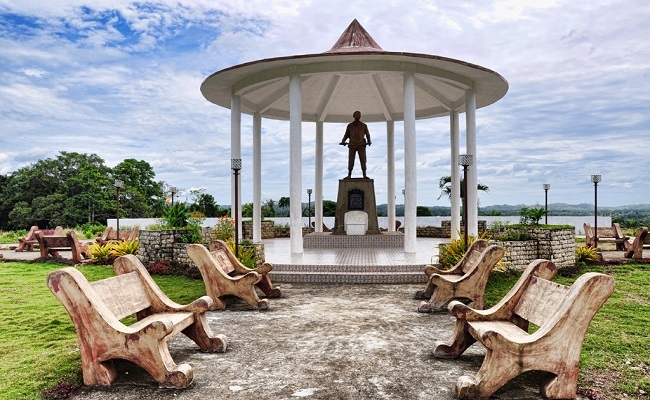 Here, one can see the exquisite monument of marble base and a life-size bronze statue by Bohol's famous sculptor and a National Artist Napoleon Abueva. The said park is located in front of Bohol Wisdom School. Located 24 km from Tagbilaran City. Atop the Mt. 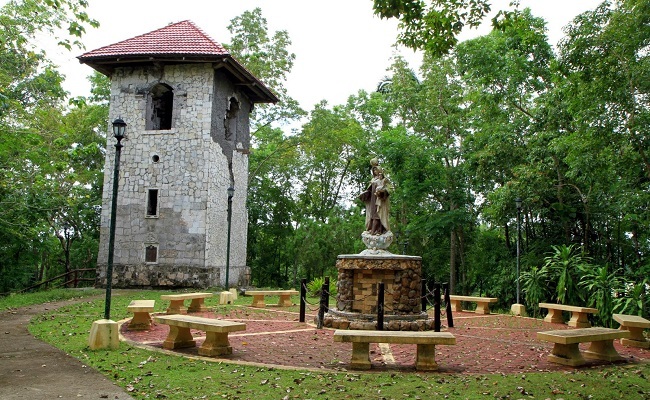 Carmel Hill, right in the heart of Balilihan town, is a historical tower of adobe and limestone. These materials were hauled from the town of Baclayon. 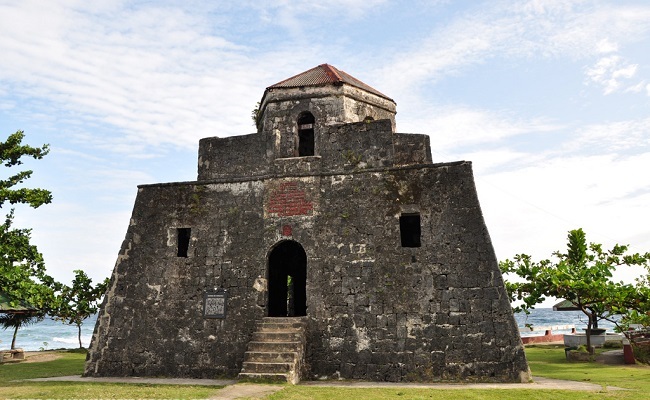 It was built to serve as a belfry of a church which was burned down during the Philippine revolution. Like a sentinel, the tower stands as guard over the town. Concrete stairways were built to make the tower more accessible. 38 km from Tagbilaran City. 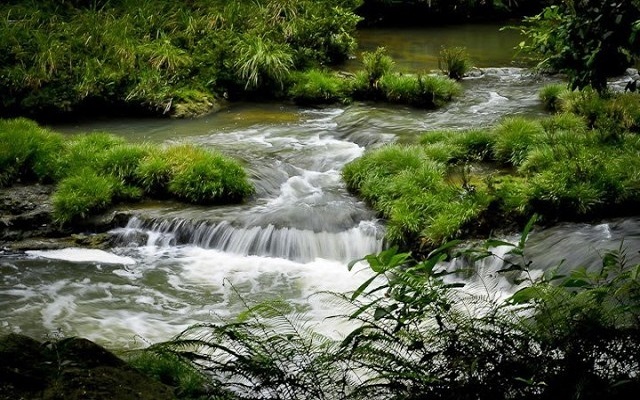 This is the cradle of the resistance movement in Bohol during the Japanese occupation when a group of courageous men composed of disbanded soldiers and ordinary citizens started guerilla operations to liberate the island.The encampment nestles in a deep ravine hidden from the enemy. When opposition headquarters were transferred to Carmen, the encampment was used to hold enemy prisoners. Located 92 km from city of Tagbilaran. The Dagohoy historical marker in Magtangtang, Danao was installed by the Philippine Historical Comission to commemorate the heroic deeds of Francisco Dagohoy who led the longest revolt in the country against the Spaniards which lasted for 84 years. Magtangtang was Dagohoy's headquarters or hideout during the revolt. Hundreds of Dagohoy's followers preferred death inside the cave than surrender. Their skeletal remains still exist today. Located 14 km from Tagbilaran City. The Punta Cruz is an ancient stone watchtower built by the townspeople as a lookout for incoming pirates. On a rock lip that juts out into the sea, fronting the tower, stands a wooden cross. Legend has it that by extending a mysterious spell over the sea, the cross has saved many people from the ravages of pirates and marauders. The tower holds a commanding view of the sea facing Cebu, Siquijor and Mindanao and has been officially designated as a historical tourist spot. The area surrounding the tower has been developed into a park. The attractions in this list are the most visited historical sites in Bohol, and are the places that plays the most important part Bohol's history. If you go to Bohol, this sites are a must-visit attractions.